The auction was for 8 plates and I won them! Some guests would have flowers, some would have an Asian design and some would have turkeys! So I bought 8 more. 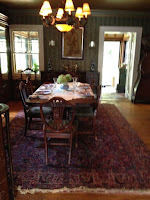 the Spode blue room would fill in nicely. 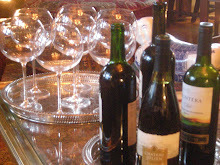 I adored my turkey plated Thanksgiving table in 2008. 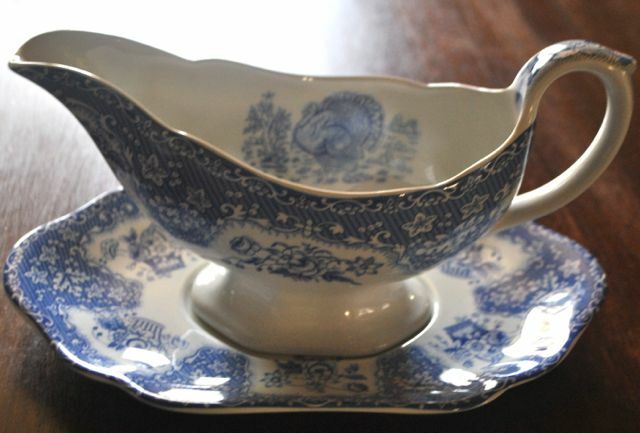 The Spode Festival gravy boat. and it is a pretty table. of pumpkins or garden mums. That anniversary fell on Thanksgiving and we had no turkey but rather steak and champagne! we've joined our daughter's in-laws for Thanksgiving. to share their Thanksgiving with us. awaiting a Thanksgiving at Linderhof. It is best, I feel, to be prepared! And they could be used anytime during the year!--- Perhaps split them between the daughters-in-law? Hence turning Thanksgiving over to them permanently? Just a thought. Oh, Martha, you know how I love blue and whites! Thank you for showing your lovely Thanksgiving blues...I enjoyed them so much this evening. I have a plate just like yours also from TJ Maxx but mine was brown and white, the only one they had. But I have my mother in law's brown and white plates and they always feel like November to me, a little change from the blue and whites. Beautiful dishes will grace your Thanksgiving Table...thanks for sharing! I love the turkey dishes. 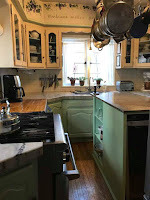 How smart to get them in blue (one would think a brown or golden color as it is fall). By all means mix them in. Those plates will hold turkey yet. Good to be ready. Yes, Martha, we are sisters in a past life. 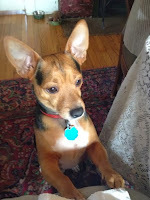 OF COURSE you need those turkey dishes. 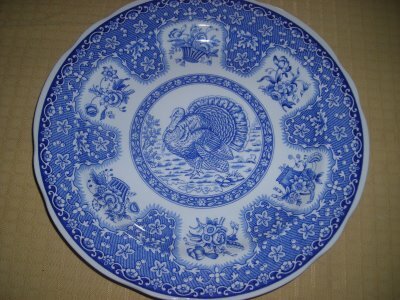 When I worked at the antiques mall on Sunday, a woman bought a lone blue and white turkey dish -- so of course I asked her about it. She has been collecting them one by one for years -- has about 20 now! 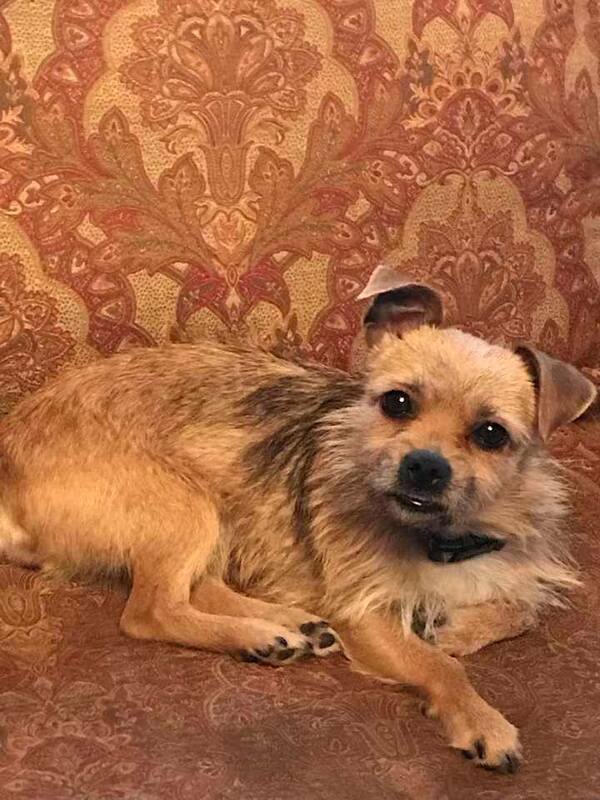 I almost asked to go home with her. The only turkey dishes I have are last year's Pottery Barn luncheon sized! I need to pick up the pace, don't I? They are gorgeous, every single blue plate. 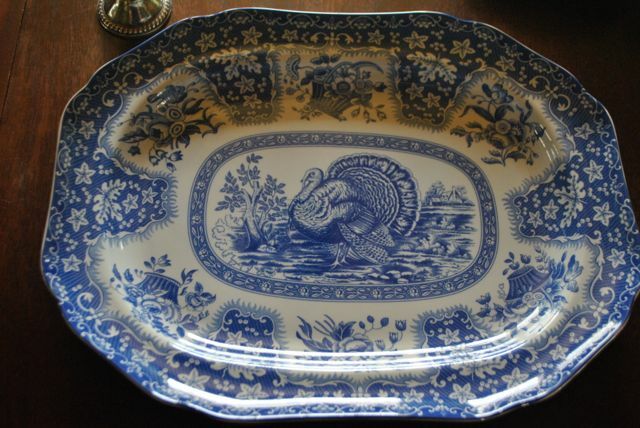 I keep thinking I need some turkey plates too, especially the platter. 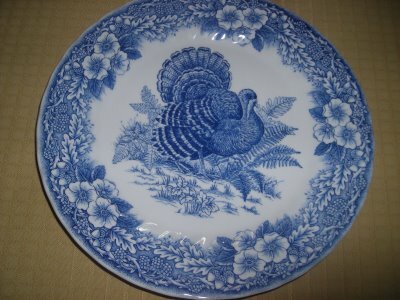 Your blue & white Turkey dishes are a gorgeous addition to your collection!!! Prepared is a "good thing"!! !